Powder N Shine is a catered ski company based in snowy Reberty Village, above Les Menuires at 2000m and part of the 3 Valleys ski domain. The company runs four fully catered, ski-in/ski-out chalets and is entering into its eighth winter season offering quality ski holidays that focus strongly on top-notch food and wine. Powder N Shine try to recruit only the very best chefs in the industry and serve their delicious food with hand-selected wines. This year’s roster of chefs — who between them have experience in restaurants including Dani Maisons (2 Michelin stars), Bohemia (1*), L’Ortolan (1*) and Cliveden House — have recently arrived in Reberty, along with other members of the Powder N Shine team. The chefs — returner Joe and newcomers Isaac, Liam and Chris — have been devising their menus using fresh ingredients sourced within a 30-minute drive of Reberty. Over the coming weeks, the lucky Powder N Shine team will be treated to practice meals from four excellent but diverse menus reflecting each of the individual chefs’ culinary influences and journey to date. (Click here to read Powder N Shine’s latest blog, reporting on Michelin-starred conversation from the chalet kitchen). Powder N Shine owner and director Francesca Smith explains why the ski chalet company places such a strong emphasis on quality food. “I’ve grown up loving good food and wine, so starting up a business for me was all about food and wine and personal service. When we started Powder N Shine, we spotted a gap in the market in Reberty for quality, top-end food. There were lots of family ski companies and package holiday providers but nothing really concentrating on cuisine,” says Francesca. 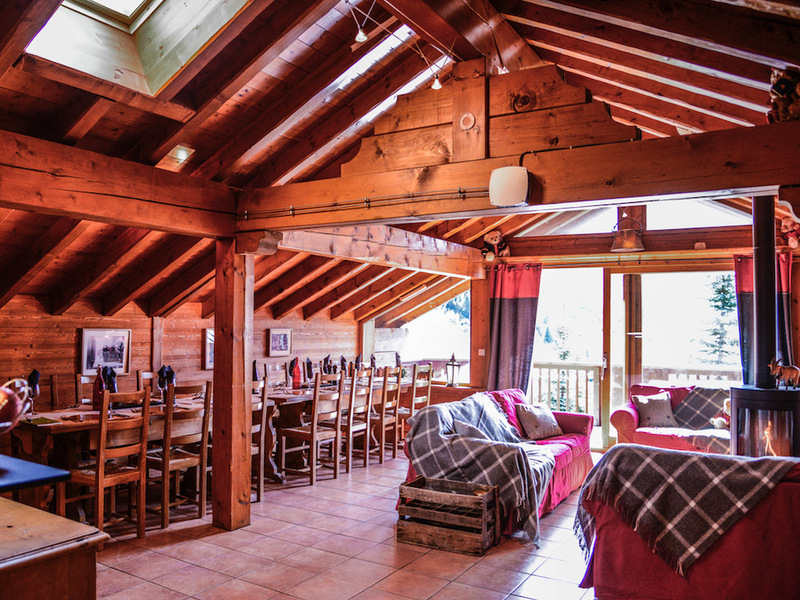 * Read The Daily Telegraph review of Powder N Shine chalet Sapin de Reberty, named by Where to Ski and Snowboard editor Dave Watts as “one of the best ski chalets in France”.